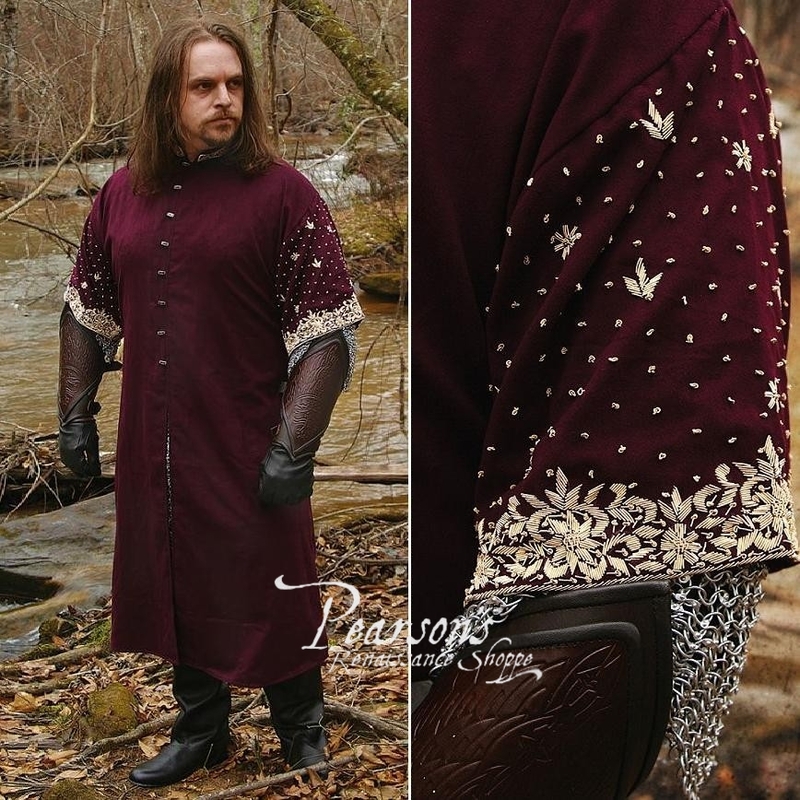 This elegant, short-sleeve mens coat features a striking contrast between the boldly shining embroidery on the stand-up collar and sleeves and deep, wine red. 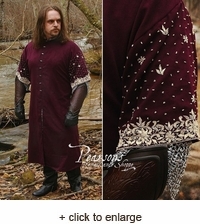 This mens short-sleeve coat is made of sensuous, wine red velveteen cut in calf-length cotehardie style. The row of functional, decorative buttons fastens the coat from the throat to the waist. Below the hips, our short-sleeve coat has slits at the front and the back to provide freedom of movement – even when you are on the back of a horse.